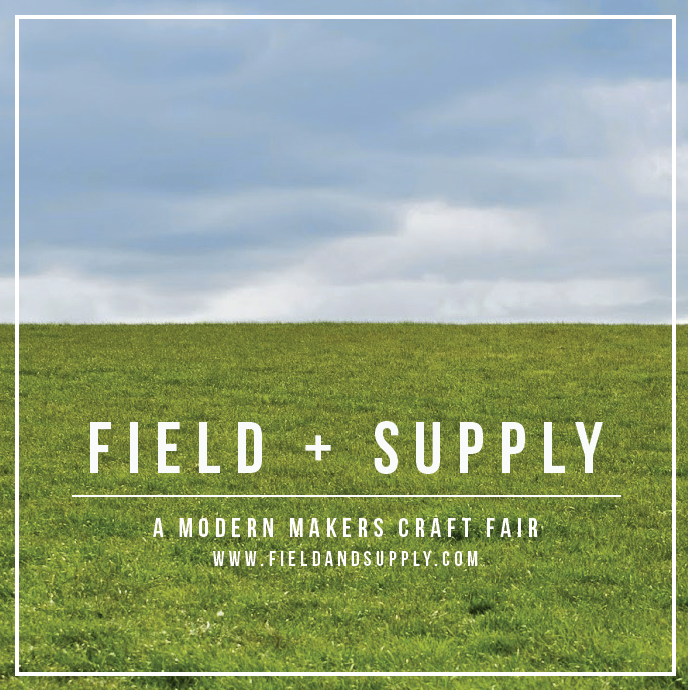 This weekend we’re excited to be exhibiting alongside an exceptional selection of local makers, craftspeople and artisans at the first annual Field + Supply maker fair. The vision of Brad Ford, a high-end interior designer and the man behind designtherapy, Field + Supply aims to modernize and elevate the traditional arts and crafts fair with a local focus. It will highlight goods, old and new, from a variety of studios and workshops representing fashion, food, and furniture. We’re looking forward to seeing some of our friends at the event including Materia Designs, Sawkille, Fern, Workstead, Michael Robbins, And North and Kingston Wine Co. If you’re looking for a weekend plan, stop by the fair and check out all the great folks who will be exhibiting. The fair will run on Saturday from 11:00p - 6:00p and Sunday from 12:00p - 5:00p at The Black Barn, 4-8 Bruceville Rd. Hight Falls, NY. We’ll also be extending open house hours this weekend in accordance with the fair. On Saturday we’ll be hosting the open house from 11:00a - 4:00p and Sunday from 1:00p - 4:00p. If you stopped by our launch party, you may also remember the tasty fare from our friends at Brotherly Grub BBQ who will also be at Field + Supply. Can’t wait to get my hands on some sliders!